This combo flat is for small growers who like to grow combination planters without having to buy a whole flat of each variety. Each 105 plug flat contains five varieties of our choice coordinated to grow well together. Use your imagination to make different arrangements from the same flat--often three varieties are sufficient for a beautiful planter. Note: colors are subject to availability at the time of production. We cannot accommodate requests for specific plants in combination trays. 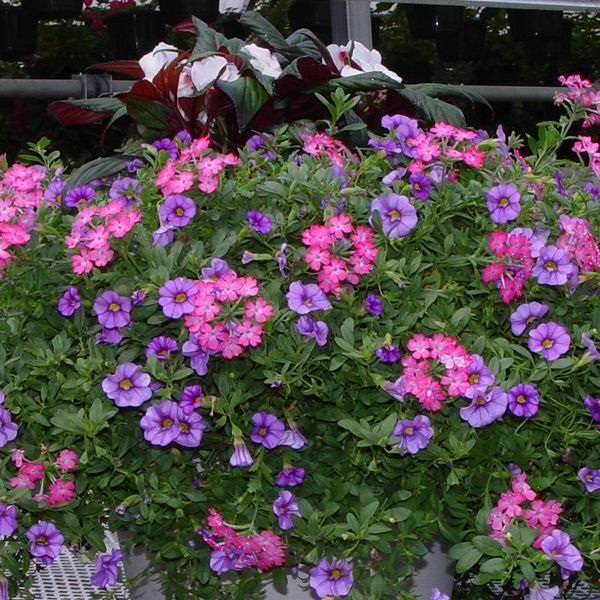 The Spring Combo includes one color each of the following plants: Coleus, New Guinea Impatien, Calibrachoa, Verbena, Bacopa. Start these component plants 6-8 weeks early in 3" or 4" pots if you plan to mix them later with faster-growing plants in combination planters. While these plants all have similar cultural needs, see the product page for each variety for growing tips specific to each plant.